We’ve got a new name. We’ve got a new look. And now we’re taking this show on the road. One of the primary reasons we decided to change our name was because we wanted to remind y’all that we’re really all family here in Central Texas: we are all blood. And just like any family, we’ve got some great stories to share. But there a lot of people who are newer additions to our Central Texas family that may not know them just yet. So in celebration of our new name and new look, we decided that we needed a little family reunion to get this new name up and running. We want to reconnect our organization with our community, and to remind y’all why We Are Blood got started in the first place. We want to remind all Central Texans that We Are Blood has deep roots in this community. Think of us as the keepers of the blood. The “we’re-prepared-so-you-don’t-have-to-be” backstage crew. The “hope-I-don’t-need-it-but-I’ll-be-glad-it’s-there-if-I-do” bank. As the community’s exclusive local blood supplier for over 65 years, we think you’re in good hands. Moreover, we want to encourage you to take pride in this precious resource, too. 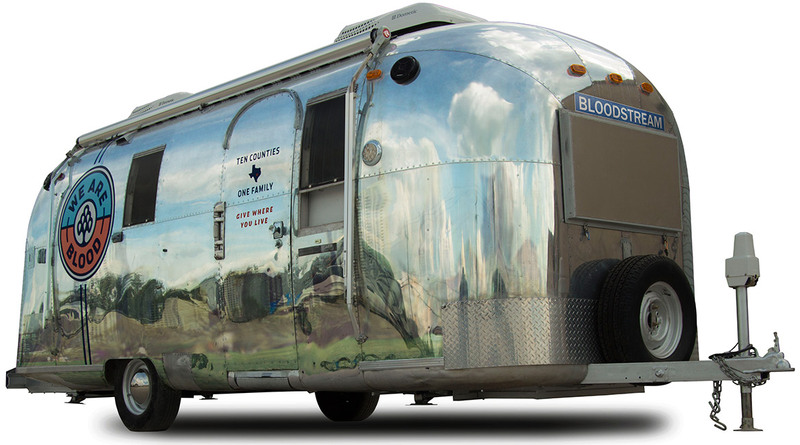 This Fall and Winter, our Bloodstream trailer will be touring all around Central Texas, just hanging out and reconnecting with the community we love. We’re partnering with other iconic, local institutions to remind everyone in our community to give where you live. And, to further entice you to come hang out with us, at the end of our tour, we’ll be giving away an outstanding 3-pack of some of the coolest (literally!) 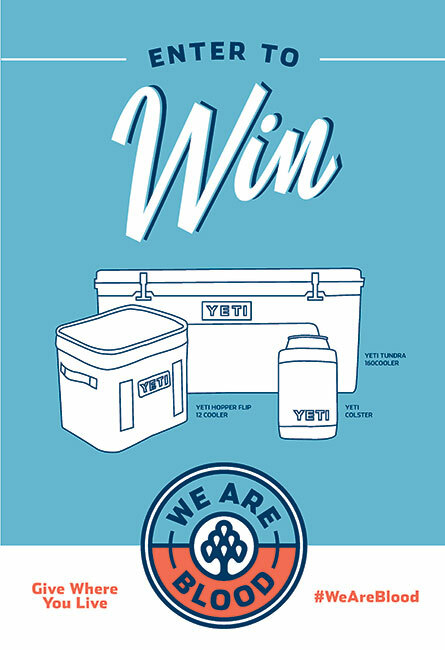 items Yeti Coolers has to offer. But in order to be entered, you have to come find us in person! And don’t forget to check back and look at our calendar to see where we’ll be popping up next!